If you own a page on Facebook like 1800Pocket/PC‘s, then you’re probably always looking for easier ways to manage it on the go. Pages Manager for Facebook, listed as FB Pages Manager in the Stores, is a great solution for those on the Windows platform looking to keep in touch with their fans and followers. In fact, Pages Manager for Facebook is the only fully featured Pages Manager app on Windows that you can use to manage all of your Facebook pages and has amassed over 1 million downloads to date. In addition, 400,000 page managers use the app to talk directly to their users in over 30 different languages. Added Pages News Feed, you can now like/comment/share on posts made by other pages that you liked. Fixed the page settings issues. The app still has two versions — a free “lite” version and a paid “pro version” — that are each compatible with the Universal Windows platform. The lite version has the basic features and you’ll also see advertising within it. The pro version is available for $1.99 and includes more features. No matter which flavor of the app you prefer, you can find them in the Windows Stores using the QR codes and download links below this post. 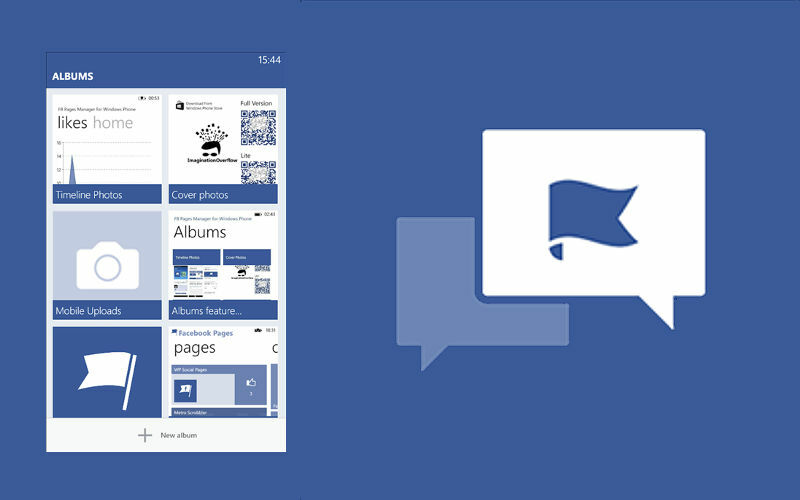 What do you think of the new Pages Manager for Facebook update? Let us know in the comments!